Today’s story comes from Chelsea, creator of one of Babywearing’s most beloved Facebook pages: Keep Calm & Carry Them. 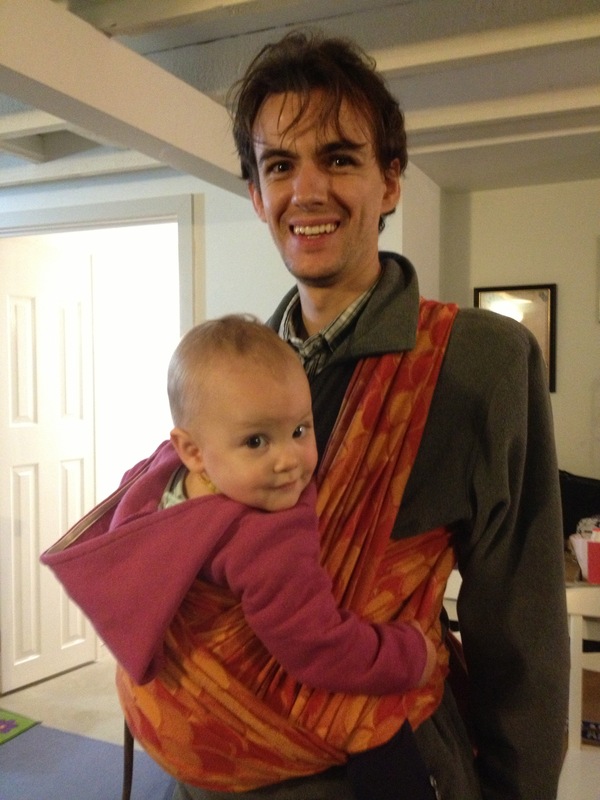 This is my husband Michael with our one-year-old daughter Audrey. He’s just come downstairs to my music studio and is saying goodbye to my last students. He flexi-times his work schedule to take care of Audrey while I’m teaching and often they go for a walk around our neighbourhood before coming back and preparing dinner to the soundtrack of classical violin from below. I love that I can tell his mood from the wrap he’s chosen (bright and cheerful in this case) and that Audrey is happily babbling hellos to the children I teach.